Owner of Secretly Sunless, Mandy Langdon, already had an established brand with several clients but was in need of more substantial branding for her growing business. Mandy came to me with a few ideas in mind, including the use of palm trees, the ocean and tropical touches. 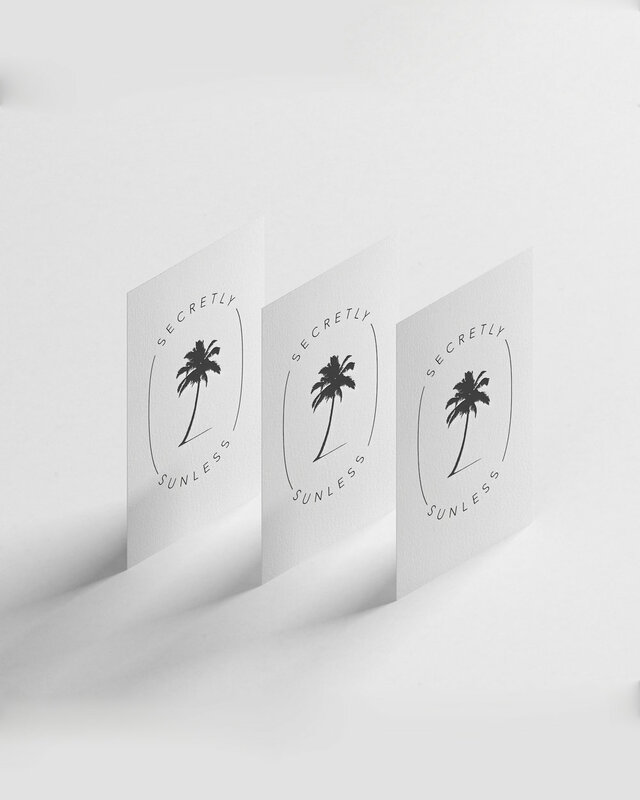 We worked together to narrow down several options and were able to come to a final decision with a clean, timeless logo that incorporates modern text with a beautiful palm tree silhouette. I love that we were able to find a balance in this project of not being too over-the-top tropical, but still including elements of the palm tree in a classy way. Secretly Sunless is a Bay Area, California based sunless tanning salon.